Clayton Wiebe [wa]s Research Technician with the program. He was born in Nipawin, SK and raised on a farm in the Codette area of Saskatchewan. After completing high school, he worked in various capacities at the canola oil processing plant CSP Foods (now known as Canamera Foods) in Nipawin. 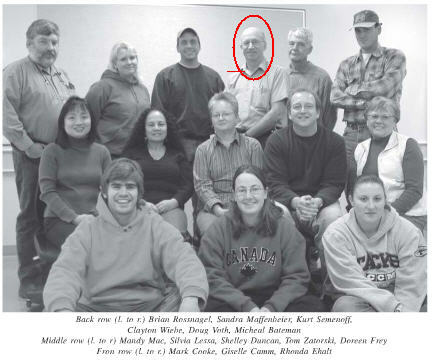 He eventually left a position as Packaging Plant Supervisor to continue his education at Olds College studying General Horticulture. Clayton began working for the University with Dr. Bryan Harvey in 1982. Clayton enjoys country living, which includes dry land fruit growing and gardening.